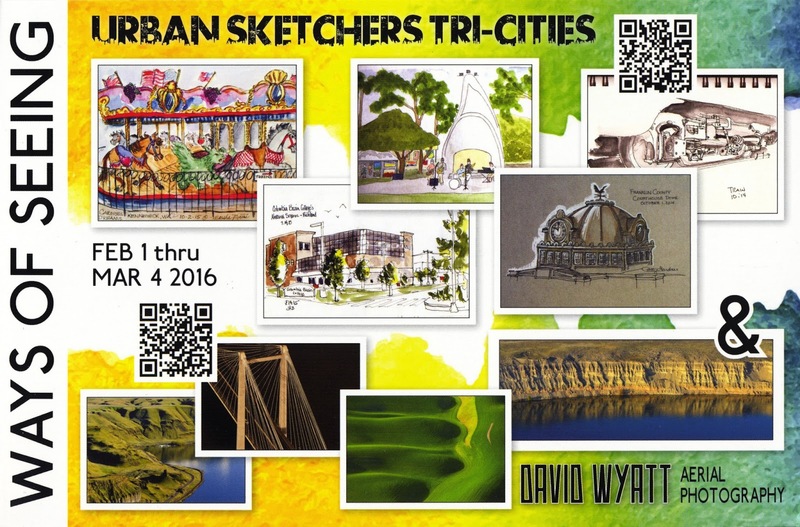 Art-a-Day: "Urban Sketchers at Allied Arts"
Urban Sketchers: Tri-Cities will be sharing the gallery with David Wyatt, local aerial photographer, at Allied Arts during the month of February. All of the "Art-A-Day" folks are invited to attend the reception - February 7th from 1pm to 3pm. The Super Bowl is on at 3:30, so there's just enough time to come on over and enjoy the show. Want to know more about us? Click here, or find us on FB. of course I will be there and I will bring some pom poms to cheer the winning artists and football team to winning goal. This is a monumental moment for Allied Arts "The Gallery At The Park" don't you think?